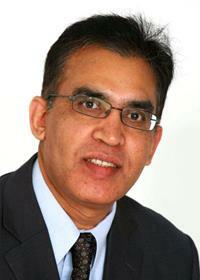 Shahid Younis was elected in May 2011 as a Councillor for Bulmershe and Whitegates ward on Wokingham Borough Council. Shahid has lived ib Bulmershe for many years, is married and has four children. He has over 20 years IT industrial experience and has worked with major corporations throughout Europe and the Middle East. For the past 10 years he is running and IT consultancy and training company. Shahid has experience of working for local residents as a Woodley Town Councillor and has helped many residents with issues such as anti-social behaviour, graffiti and unsightly litter and has campaigned to protect green spaces from over-development. His areas of interest are education, improved facilities for youth and the elderly, safer neighbourhoods and the environment. For the past few years he has been actively lobbying for increased funding into our local schools, particularly The Bulmershe School. Shahid has been running a local educational charity since 2005 which aims to help academically deprived children to improve their attainment levels and general life chances.